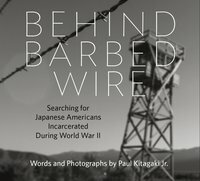 Behind Barbed Wire Book Signing and Reception with Paul Kitagaki Jr.
To commemorate the release of his new book, Behind Barbed Wire, and in celebration of his highly regarded exhibition, Gambatte! Legacy of an Enduring Spirit, join photographer Paul Kitagaki Jr. for a special reception with several of the exhibition’s subjects. Kitagaki will also be signing copies of his book, which will be available for purchase at the JANM Store. This event is included with museum admission, but space is limited. RSVP by April 13 using the link below. You can also contact publicprogram@janm.org or 213.625.0414. Read our interview with Paul Kitagaki Jr. about Gambatte! on Discover Nikkei. JANM . 更新日 3月 29 2019 4:03 p.m.